Godiva, the luxury Belgian chocolatier, has truly made chocolate-making into an art form by unveiling a decorated 65-kilogram (143-pound Easter egg that costs a fortune. Created by Godiva’s development chef, Cherish Finden, the Atelier egg is made of rich dark chocolate, and took over 200 hours for the chef and his three assistants to create. It comprises an intricate floral design, and is topped off—quite literally—with the golden monogram ‘G’. All this warrants a hefty, eyebrow-raising price of £10,000 (US$13,102). This is the heaviest and most expensive Godiva Atelier egg to date, winning over the similarly handcrafted Godiva Atelier egg in 2018 that weighed 25 kilograms (55 pounds) and cost half the price. Chef Finden says that he wanted to “go even bigger and more extravagant” this time. 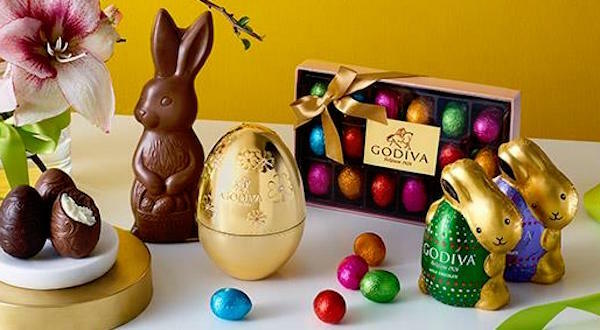 It is evident that Godiva is determined to surpass itself year after year. Who knows what next Easter will bring?